Ah, DIY! The new, best way to get ‘er done. A lot of people are deciding to learn how to do things around the house to avoid calling in a company. Most people aren’t out to build their own refrigerators or vehicles. But, a lot of people are looking to save money here and there around the house by laying the flooring in their homes. There are pros and cons to having professionals install floors in your house. But, there are also advantages and disadvantages involved when you’re doing it yourself. Either way, it’s up to you to decide whether your choice is worth it. If you’re a DIYer or interested in becoming one, you may be in search of some DIY flooring installation ideas. If so, we’ve got some options that you can consider. Let’s take a look! Carpet Squares: Laying down carpet flooring on your own isn’t really the easiest thing to do. But, you might think about installing carpet squares instead. They’re much easier to carry into your home. And, laying them down is fairly simple. Carpet squares are a great option if you’re in the market for versatile flooring that’s easy to maintain. Laminate Flooring: This is one of the popular DIY flooring installation options. A lot of people find laminate floors to be pretty simple to install. Like carpet squares, laminate has proven to be very versatile. It comes in all types of colors. This kind of flooring is pretty cost-effective. Also, it definitely allows you some flexibility in regards to appearance as it can give off the look of wood or tile flooring. Engineered Wood: Take note, this isn’t hardwood flooring. But, the top layer of the planks is made of wood. So, it still has the appearance of hardwood without all the difficulty of installing it. It’s a great option for DIY flooring installation since the planks easily snap into place together. Rubber Flooring: Rubber isn’t exactly the most high-end looking flooring. But, if you’re looking for durable flooring for a play area or another room of the sort, rubber might be a great choice for you. It’s easy to install since, like cork, it comes in tiles that fit together and interlock. Cork Flooring: This kind of flooring is a great option for DIYers because installing it is pretty simple. Cork flooring can come in the form of tiles or planks. For some types of cork flooring, no glue is needed because the pieces snap together. This makes it much easier for people to install. Think you’re ready to take on DIY flooring installation? If so, that’s great! But, don’t forget that the first thing you should do is remove your current floors. That might be something you need to call in the professionals to do. But, not to worry. DustBusters is here to help! We can help you get started with your new flooring project by removing the old floors. Let us help you take care of that part so you can move onto the fun part: installing your new floors! 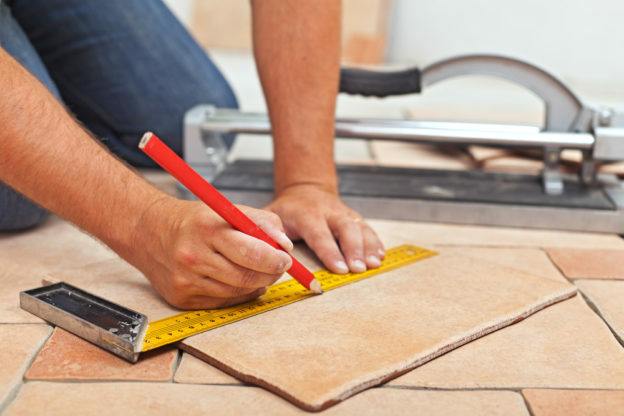 If you’re ready to start your exciting flooring project, just contact us today!